YouTube Marketing 2.0 Made Easy is the super crazy action loaded download that gives you all the power you need to get noticed online and that will translate into massive sales if you are offering quality information. We live in a world of information overload, where everyone seems to always want more and more and more. This is the advantage for you because it means the mind is open for you to reach out and grab your niche target audience and give them the solutions they are looking for so you can nail the sale. YouTube of course is the perfect avenue to take because you are using the most powerful interactive visual tool online to do it. The time has come for you to take action and hold yourself accountable to becoming successful. Just do it already. 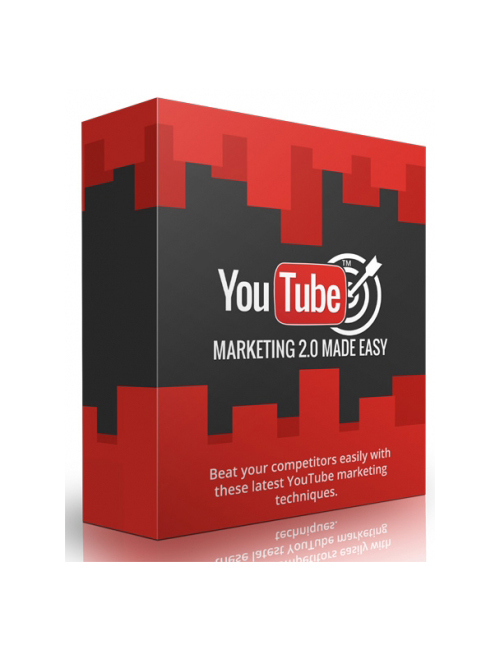 YouTube Marketing 2.0 Made Easy is the route to take today. Time for you to win and make the grab.